Health-care professionals can obtain pricing information by contacting us by any of the methods listed on the Contact Information page. Press the underlined hyperlink above or the button at left. Further product information can be obtained on the Catalog (available to all) and Online Shopping (available to registered health care professionals ONLY!) pages or the Ingredient Cross Reference page (currently under construction) also on the hyperlink or the menu at left. Consumers, YOU CANNOT ORDER DIRECT! We distribute through health care professionals who know how best to use our products. We will be happy to try and find a professional carrying our products near you. Call us or look on our Distributors page. Please be aware that simply creating a username and password will not automatically make you eligible to use the Online Shopping section of the website. Your information supplied at registration will be reviewed by a website administrator and then you will be assigned “Professional” status if you qualify. Only those who have been assigned “Professional” status can order from the Online Shopping section. If you try to “back door” by directly entering a product page URL you won’t be allowed to access the shopping cart unless you have “Professional” status. Here’s the problem- we have to know you’ve registered in order to review your information. Therefore, you must contact us by phone (800-630-4534 or 614-794-1594) or email ([email protected]) and give us your username (the password is NOT necessary and should be kept secret) so that we know what username to convert to the proper status. If you have been directed to our site by a physician who has made arrangements with us you must register and have your username account converted to “Professional” or other appropriate status as well. The same procedure applies to you. If you have registered but have not gotten an email with a password PLEASE CHECK YOUR JUNK MAIL FOLDER! This is a VERY common problem. This process only takes a few minutes when we have the proper information. If you sent us an email between about 9:00 PM (EST) 12/13/18 and 3:45 PM (EST) 12/14/18 please resend it. We lost an email server temporarily between those times and dates and the emails were lost. If this is what you looked like after trying to reach us by phone for the last few days then we would like to say we’re VERY sorry. We’ve had some phone trouble. Well, really we’ve had MAJOR phone trouble. We use cell technology here and when it works it’s great. When it doesn’t, well…not so great. 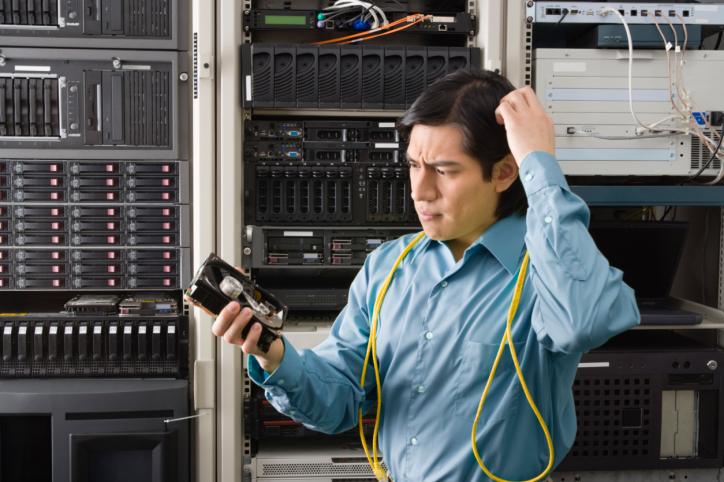 We’re mostly fixed here but our provider’s technicians still look like this poor fellow below on a couple of issues that have no direct impact on our making and receiving phone calls. So our issues are fixed for now. Oh, yes, we had similar problems on land lines. So, old technology isn’t necessarily the solution. The reliability seems to be the same. Only the problems are different. Virex Complex is chock full of potent immune system support ingredients like grapefruit seed extract, echinacea, olive leaf extract, vitamin C, bioflavonoids, zinc, vitamin D3, etc. The best part is that until March, 2017 it’s 20% off regular wholesale price. But that’s not all! Also until March 2017 we have one of our most popular digestive aids, Mega Gestaid, on sale 20% off the regular wholesale price. Mega Gestaid is one of our finest two-phase digestive support products (we make 2 others, Hypo Gestaid and Toler Gestaid). This product provides a more target support than the simpler Hypo Gestaid but is a slightly simpler aid than the more target Toler Gestaid. This product is potent support for the most important aspect of digestion, the stomach and upper gut. Mega Gestaid is more potent and has a more sophisticated enzyme delivery method than Hypo Gestaid. And now you get to try it at a deep discount. If you are a registered health care professional then please proceed to our online shopping section to place your order or call us at 800-630-4534. You can also email us at [email protected] to order or to have your online order registration activated. If you haven’t heard there has been a HUGE increase in the cost of postage. We don’t really know why they did it and the amounts of the increase are staggeringly large. What it all means is that the cost of freight is going through the ceiling and our freight, which has been the same since the early 2000’s, has to go up. As of Tuesday January 19, 2016 the new flat-rate for shipping is $7.50. Sorry! We don’t like it either. Rocky Fork Formulas, Inc will be closed on Thursday and Friday November 26 & 27, 2015 in order to spend time giving thanks for the bounty God has provided to us this year.